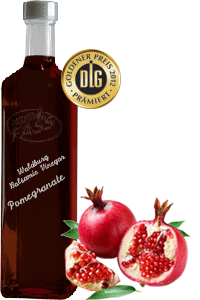 The pomegranate has been used for thousands of years in the most diverse areas of human life. There are a number of studies that highlight the positive properties also in the health of the pomegranate, which is very rich in polyphenols. Try with different nut oils to dress pungent leafy salads and salads with nuts as an ingredient. Also for marinating lamb and beef, preparing sauces, and with water as a refreshing drink As always without preservatives. Unchanged, natural pleasure right at your home.